Ever have one of those days when you want your favourite comfort food but you want to lighten things up a little? 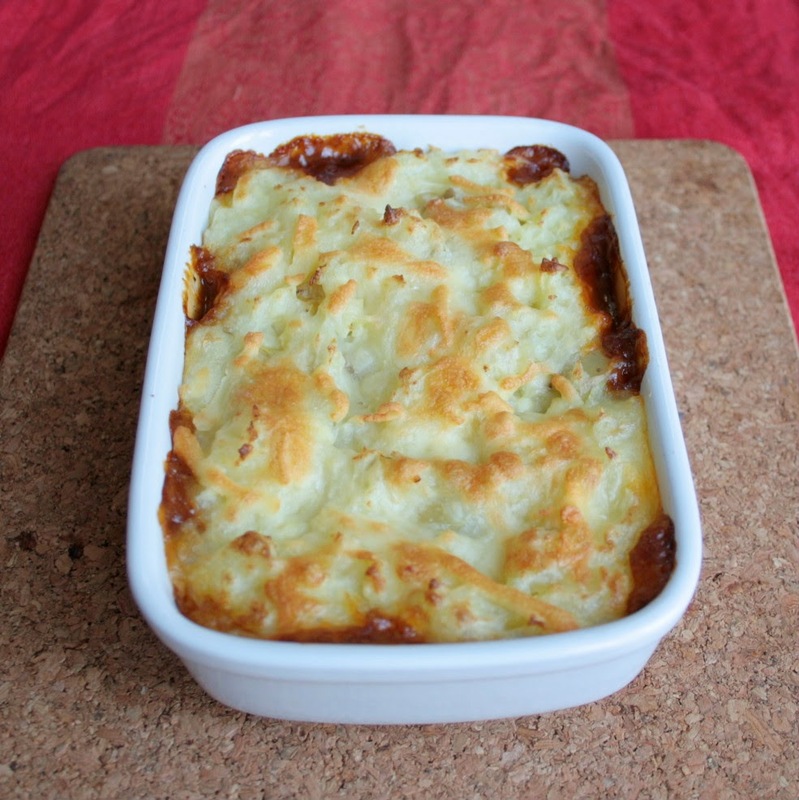 Ever wanted to just cook one portion of Shepherd's pie rather than a massive dish? Want to know the secret? 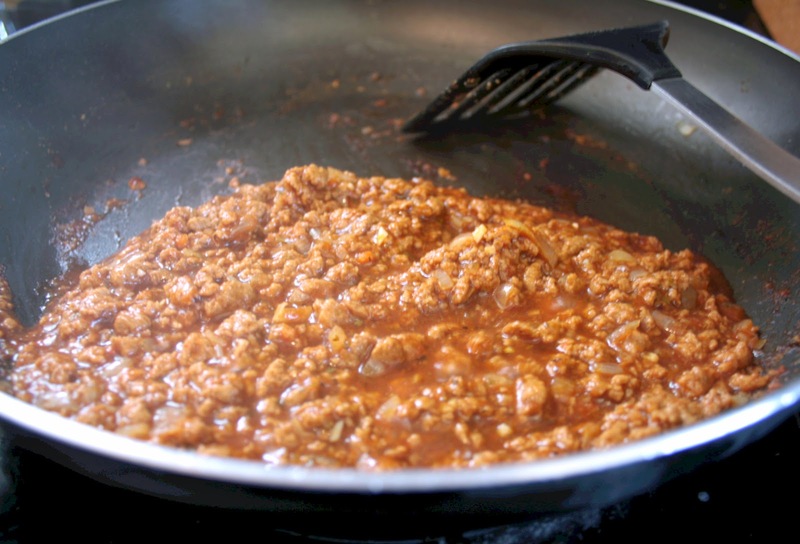 Per 100g the Quorn mince has only 105 calories and 2g of fat (0.5g saturated fat). Regular steak mince has 165 calories and 9.2g fat (4.1g saturated fat). Don't get me wrong, I love meats of all kinds but sometimes it's good to skinny things up, right?! Oh and Quorn mince comes frozen in piece so it's really easy to just take out how much you need rather than using a whole pack of mince. Ok, so it's not exactly like meaty mince but you know what? 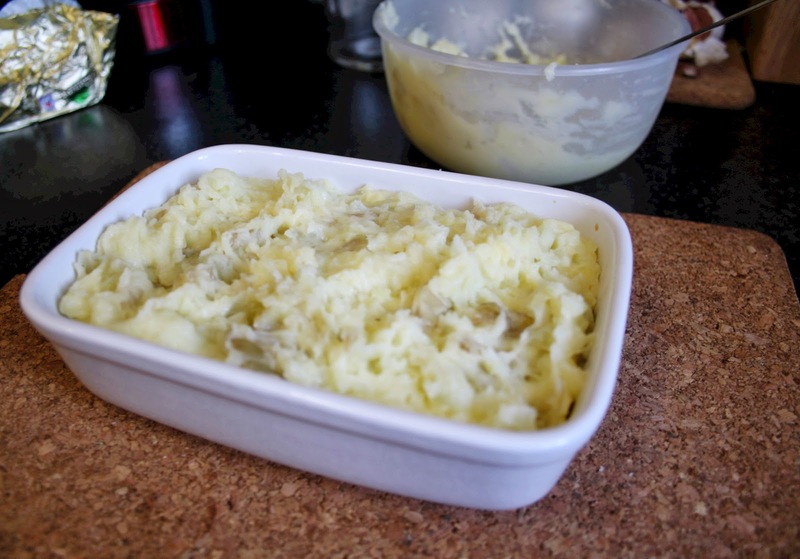 It's still really good and here's how I used it to make a tasty Shepherd's Pie! This is a recipe to show you how easy it is to make a singleton portion but you can easily double or triple the recipe to make it family sized. First the mash (unless you're feeling a bit lazy and just buy some pre-made mash!). 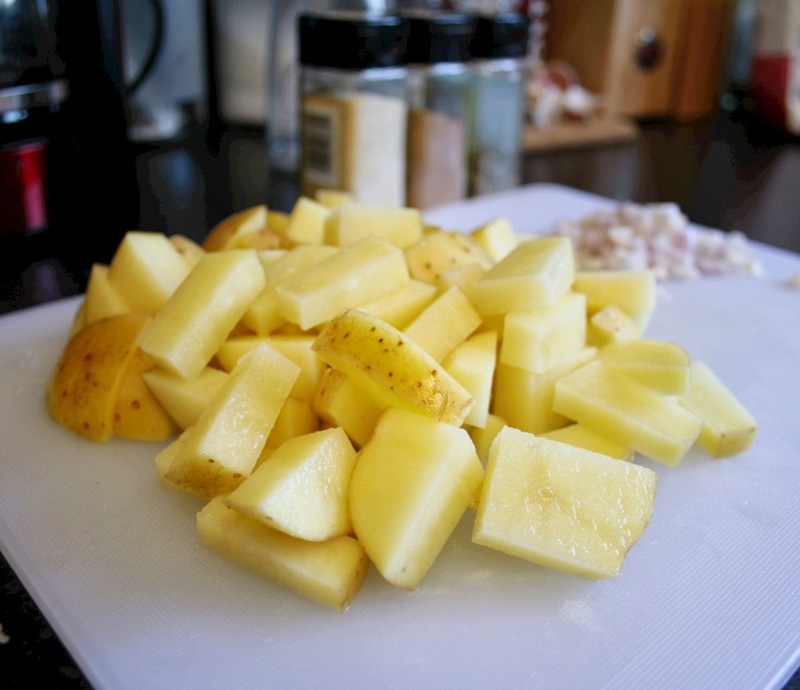 Chop a large baking potato into small cubes and add to salted, boiling water. You can let them boil away while you start on the rest of the prep. Finely dice 1 medium shallot and 1 small clove of garlic. 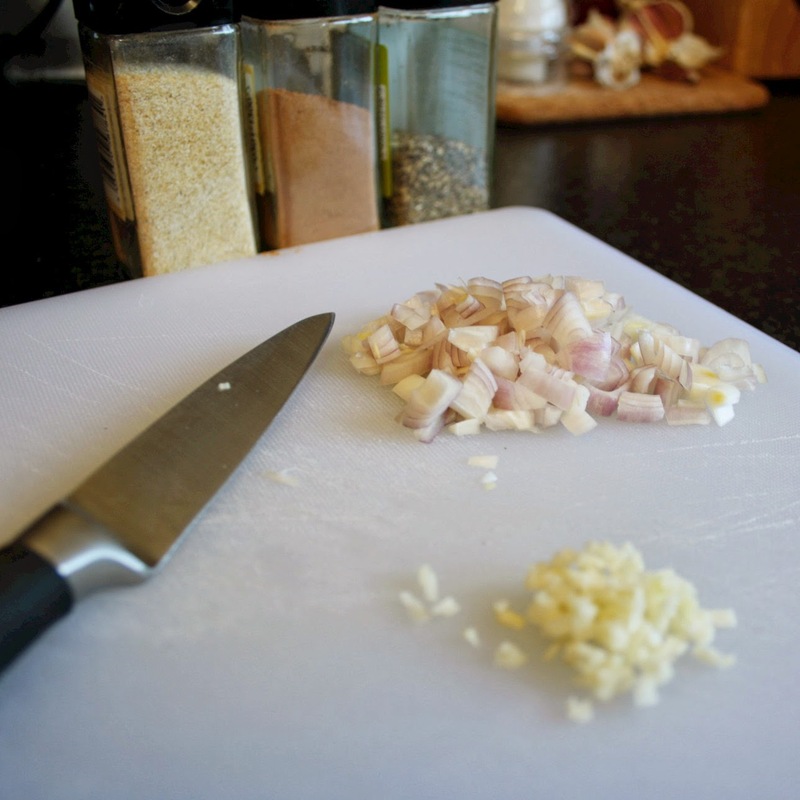 Soften the shallot in a little olive oil, add the garlic and continue to soften. 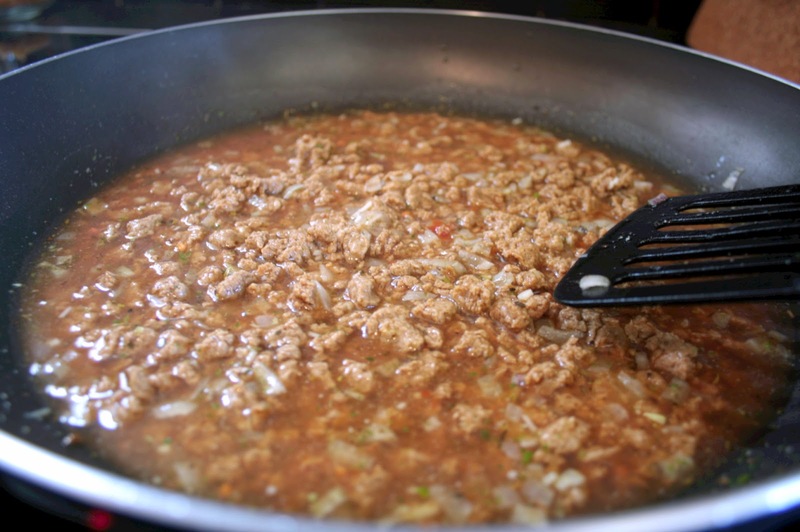 Add the frozen Quorn mince and stir until the Quorn has defrosted. Add the vegetable stock, bovril, tomato paste and herbs, mix well and allow to simmer to get all of those lovely flavours to come together. Back to the spuds! 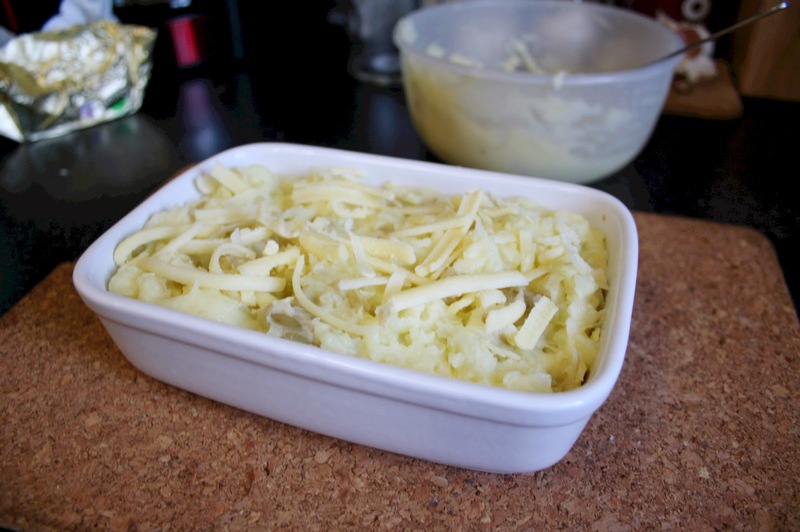 Once they have softened (poke them a little with a fork), drain the water, add butter and give them a good mash with a fork - I like my mash to be a little chunky but there's nothing stopping you from using a masher or ricer to make silky smooth mash instead! Notice how I left the skins on? I love potato skin in mash as it adds more flavour (plus they say all the good stuff is in the skins!). Once the mash is, well, mashed, add the cheese and mix well. By now the mince mixture should be bubbling away - you need to let it bubble until the stock has reduced to a nice thick gravy. Bake until the topping is golden brown. Serve with a simple salad or some steamed veg - carrots and broccoli are great with Shepherd's Pie! It was so tasty! It's so flexible too - if you did want to try it with beef then it's exactly the same just brown and drain the mince before adding everything. Let me know if you try it - I'd love to hear how it turns out! Meg, , you have to give it a try! I've found that the Quorn mince is also great for another one of my favourites, chilli! Can you get Quorn where you are? Thanks! It's so quick and easy to make - I make it about once a week (sometimes with lamb or beef) and make enough so I can take it to work for lunch the next day! 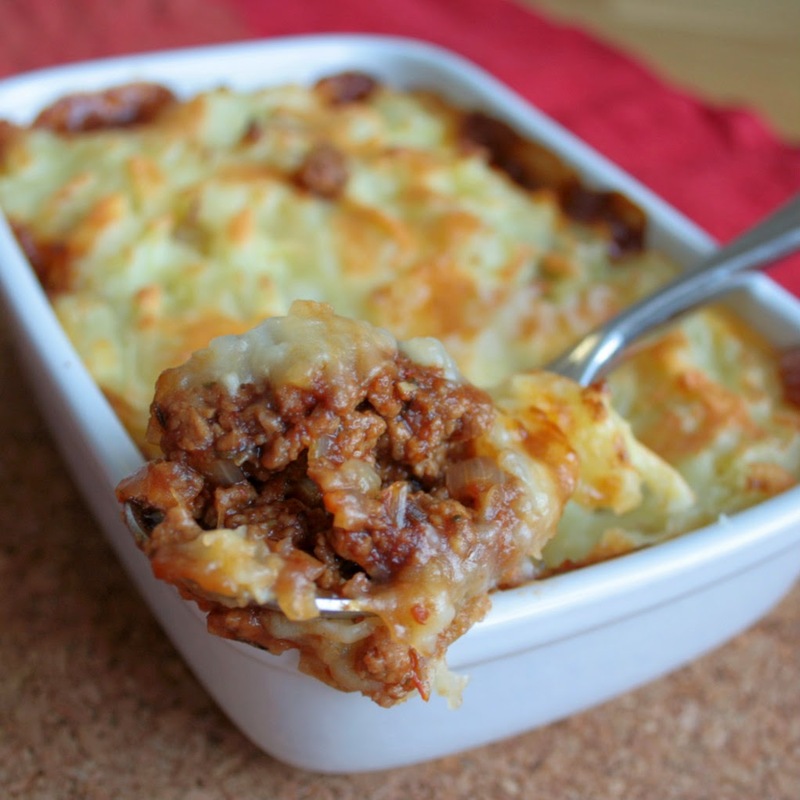 I have never made vegetarian shepherd's pie before..this sounds amazing! If you substitute beef with Quorn you can hardly tell the difference! I've also seen it made with beans which I imagine would be pretty meaty as well.